Summer is fast approaching and with that means hot weather. Here in Phoenix hot is HOT.I’m talking about 120 degrees worth of hot. Like you can’t go outside until 6pm, hot. The kind of hot that makes you think, I wonder if there is away to remove my skin kind of hot. ha! Seriously. It’s hot. So while I’m trying to keep myself cool, it’s also up to me to keep my babies cool too! So here is a super kid friendly drink with a fun twist! 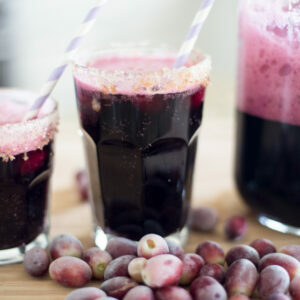 We used our frozen grapes as our ice cubes and the kids loved it! My kids don’t drink soda, so the ginger ale is like THE BEST THING EVER to them. 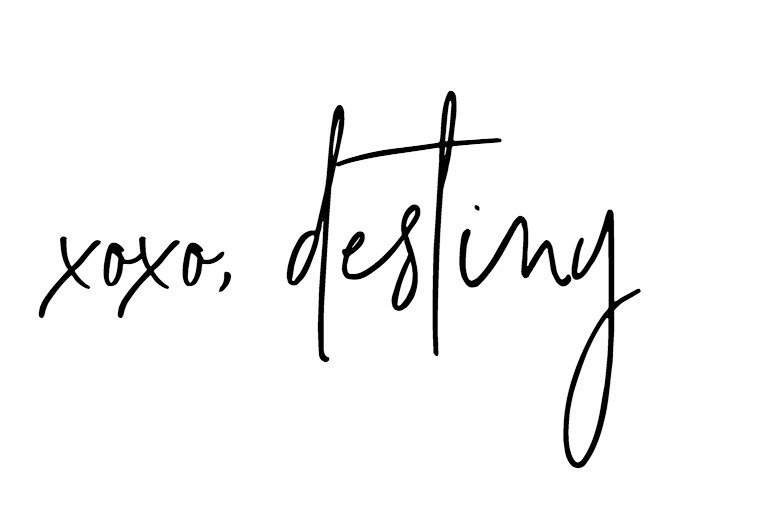 Next time I might actually let them help me make it….lol! All you need is a couple of ingredients to make this fun concoction. 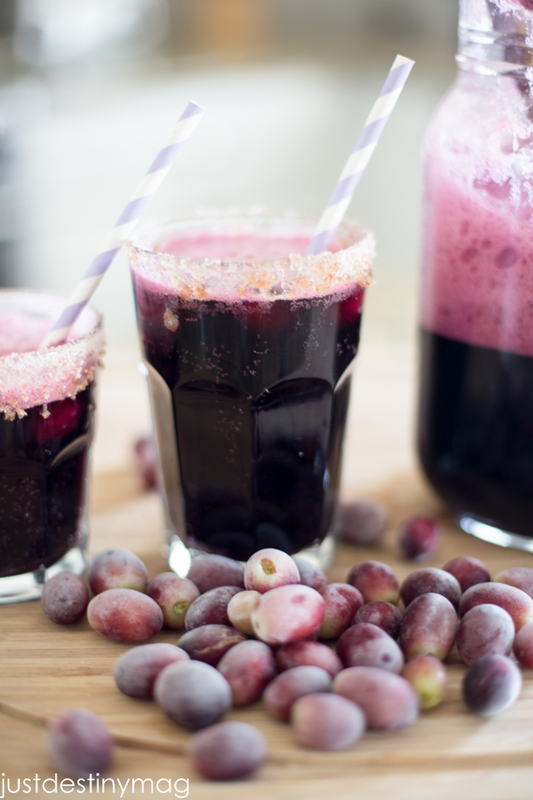 A delicious kid friendly summer drink that is "full" of grape flavor! 1 6 ounce frozen grape juice concentrate thawed. Place frozen grapes into the glass. Great tip - For extra fun add a sugar trim using graduated sugar and add a fun straw! 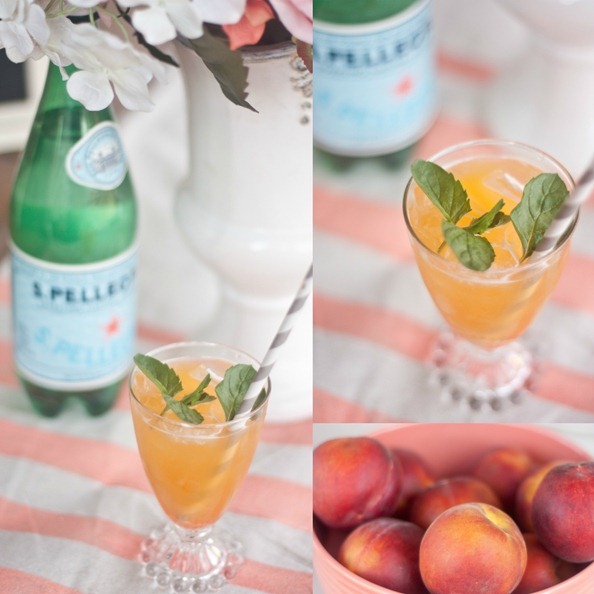 Here’s another fun drink to get your summer going! YUM! 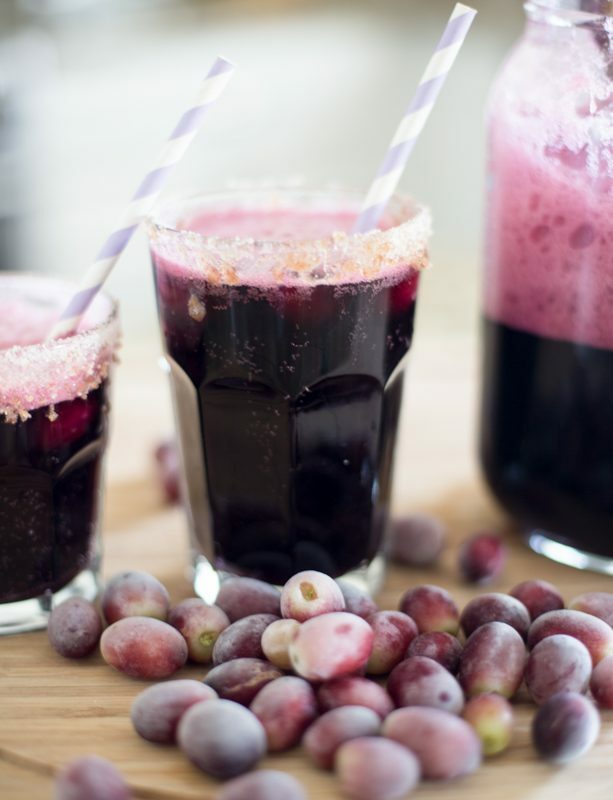 Love frozen grapes and I love even more how you just took them to the next level! 🙂 Now…it will be MONTHS until its even remotely hot here, but when it is, I will definitely need to try this one! Frozen grapes are THE best secret snack ever! lol! It’s going to 110 here this week. I might need to make some! lol!